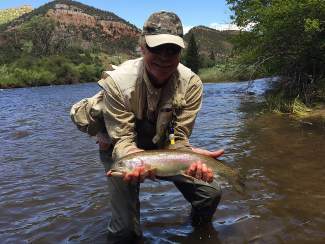 Pictured is Dave Hackman of Eagle-Vail, with a rainbow trout caught July 5th. Minturn Anglers guide, Tom Rushlow, fishing nearby, took the photo. As always with Dave this is catch and release.